On your initial visit to Empire, you will begin the pleasurable process of choosing the cloth from numerous rolls and sample books that we carry. Elements of style and trim (buttons, linings) are also decided. We will then take your measurements calling out the figures to an attendant salesman. Codes in Thai are also used to discreetly convey weak spots such as sloping shoulders or overdeveloped seats that must be accommodated. The tailor will then draft a paper pattern that will be the blueprint for all future suit patterns cut for you by Empire. 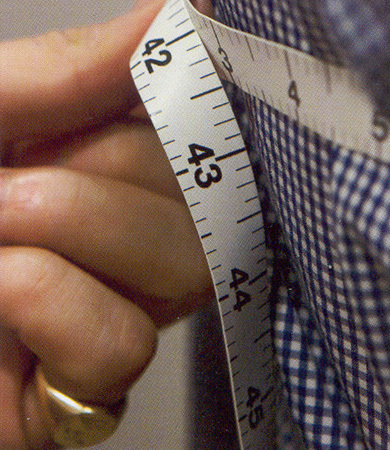 If your weight fluctuates, the pattern will be let out or taken in as necessary. The suit is usually ready for a first fitting within a day of the initial order. Your input regarding the length of the jacket and width of lapel is very important here as it will be difficult to change after the first fitting. Empire will recommend at least two fittings for the suit and a third if necessary. 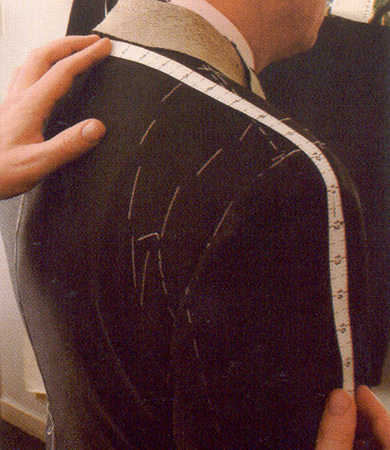 The second fitting should be getting closer to the fit and comfort desired of a bespoke suit. We will consider precision point details such as the break over the shoe, the seat of the trouser, the cuff point and the drape. Once the customer is satisfied with the fittings, we will then hand-finish inside and out. Options such as pick stitching, working functional button holes and embroidery of name are all available. Empire offers Bemberg linings and horn buttons as standard for all our suits.